London, Oct 10 - A free new app on Google Android phones and tablets helps users view colliding protons in real time and 3D within the particle accelerator used by scientists carrying out work under the mountains on the French-Swiss border. The app, created by an Oxford team led by physicist Alan Barr and endorsed by CERN, Geneva, which operates the Large Hadron Collider (LHC), has already been downloaded more than 10,000 times. Computers located in two Chinese schools, including one with close ties to the Chinese military have been traced for the series of online attacks on Google and dozens of other American corporations. According to several people with knowledge of the investigation who asked for anonymity because they were not authorized to discuss the inquiry, the Chinese schools involved are Shanghai Jiaotong University and the Lanxiang Vocational School. Munich, Dec 21 - Google threw its hat into the browser ring back in 2008. Chrome is what they called their new product, now available in its third iteration. A beta version of the fourth generation is currently making the rounds as well. While Chrome itself is clearly rapidly changing, one thing seems constant: the developers at Google have their sights on a portion of the market share held by titans Internet Explorer and Firefox. Hamburg - Google is testing a new Social Search function to make it easier for people find their friends' blogs and twitter feeds. The only catch is that users of the service need to have an open profile with Google that includes personal contact data. The internet giant Google has declared that its Friend Connect service now supports 47 different languages. Google Friend Connect service helps connecting users with their friends on different websites and blogs. Google Friend Connect, the service which helps website owners offer provide social networking features for visitors, was initially available in English language. However, Google Friend Connect service is now available in 47 different languages. Google Friend Connect service is also available in various Indian languages, such as Hindi, Marathi, Malayalam, Kannada, Oriya, Tamil, Bengali, Telugu, and Gujarati. The subsidiary of Google, the Menlo Park, California based internet giant – Google India, on Monday, in the Bombay High Court, maintained that it has no control on content publication on Google’s blog-hosting website 'Blogger', formerly known as Blogspot. Google India was taken to the Bombay High Court by Dr Aswhin Mehta, a cardiologist at Mumbai's Jaslok Hospital, for publishing blogs containing defamatory material about him. Google's search engine's capacity has been enhanced to Index Adobe's Flash files which are very common on the Web. Now the search spiders of the company are smart enough to be able to index external content which is loaded by Adobe Flash components. Indexing of content in HTML, text and XML formats will also be included. 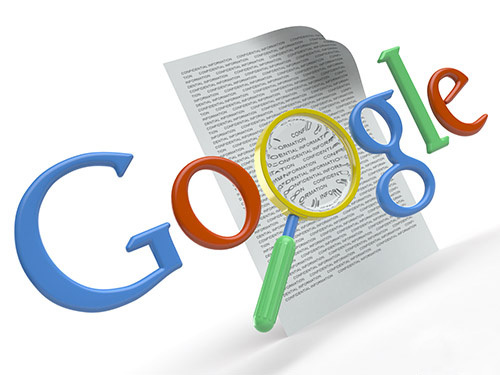 According to Google, this new potentiality amends search quality by permitting applicable content comprised in external resources to appear in response to user's queries. With both Google and Yahoo, Adobe has been working to improve the indexing of Flash content online. Google has tweaked its iGoogle start page for easier use on iPhone and Android phones. The internet giant has released improved beta version of iGoogle for iPhone and Android handsets. According to Google, the new version of iGoogle is speedier and easier-to-use. It lets the iPhone and Android phone users to interact with their devices in similar way to the desktop version using tabs and displaying content that runs in iFrames. The man who mentored many young Silicon Valley entrepreneurs, including the founders of Google, Sergey Brin and Larry Page – Rajeev Motwani, a computer science professor at Stanford University, was found dead in the swimming pool at his home in Atherton, California, on June 5. Google has rolled out its latest web based service Google Translator Toolkit. The Translator Toolkit combines Google’s machine translation technology with online tools for manually editing content. Google Translator Toolkit allows users to translate and read Web sites and plain text in a number of languages. The Toolkit is specifically developed for users who intend to edit and polish the translated text, and share or publish it. Google has fine-tuned its mobile Gmai service for iPhone and Android users. Google has added some new features which help the iPhone and Android users to get through their e-mails responsively. The new faster address auto-completion feature suggests possible contacts when a user types the first few letters of a contact's name or e-mail address. The feature is similar to the desktop version. China Mobile and Taiwan's High Tech Computer (HTC) are planning to sign a deal next month for the sale of China's first mobile phone based on Google's Android software. It has been learnt that a Chinese-language version of the Android operating system developed by HTC would be used by the handset, HTC's Magic smartphone. Furthermore, the software will also be tweaked to meet the needs of China Mobile, the world's largest mobile carrier. 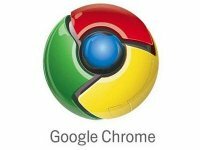 Following eight months of the official launch of Chrome browser, Google has finally launched final code for the second version of its Chrome browser. Google software engineers Mads Ager and Kasper Lund hold a viewpoint that web applications are becoming complex and browsers need capability to run them faster and in a secure environment. San Francisco - The Federal Trade Commission is investigating the close relationship between tech giants Apple and Google to see if it violates antitrust laws, according to reports Tuesday in The New York Times and The Wall Street Journal. Specifically, the government watchdog is concerned that the presence of Google CEO Eric Schmidt and former Genentech CEO Arthur Levinson on the boards of both Apple and Google could harm competition in the marketplace. Hamburg - Internet giant Google said Monday it would allow German householders to complain before images of theirhomes are included in the search company's new Street View service. Street View is a feature of Google Maps which provides free panoramic photographs of city streets from eye level in the United States, Japan, Australia and European nations. Privacy campaigners have claimed it makes it easy for snoopers to discover anyone's quality of home from afar. T-Mobile’s G1 Android smartphone sales touch ‘one million’ mark! Within six months of its October 2008 launch, T-Mobile's Google Android smartphone - which already makes up nearly two-third of the 3G devices available on the T-Mobile network - finds itself amid and enviable milestone; that of touching the noteworthy 'one million' mark in US sales! Going by a T-Mobile announcement earlier this week, the G1 smartphone handset has thus far sold a million units, and has had quite a few updates to enhance functionality and fix bugs in the operating system. T-Mobile also intends shifting more smartphones over to the Android OS. Image Search and Google News Timeline are the two new products that Google unveiled on Tuesday. In addition to these, Google has also refurbished its Google Labs site. Google prefers gathering feedback quickly and making the adjustments required in its new products.